Ellen G. White, Leader of the Seventh-Day Adventist Movement claimed to have the “spirit of prophecy” but spoke many words which contradicted Scripture. Seventh-Day Adventism (SDA) arose from the aftermath of the Adventist movement of the mid-1800s. “Seventh-day” refers to the focus on Sabbath, or Saturday worship. “Adventist” refers to the Seventh Day Adventist’s belief that they are the fulfillment of prophecies pertaining to the latter days’ remnant and the return of Christ – the Second Advent. 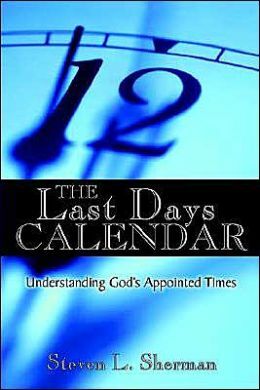 The world was predicted to end in 1844 with the Second Coming of Christ, by William Miller, a New England Baptist itinerant preacher. Miller’s followers condemned all the churches of the day as apostate and “Babylon,” and warned Christians to come out of them. A great many did, and the “Adventist” movement was born and grew rapidly. 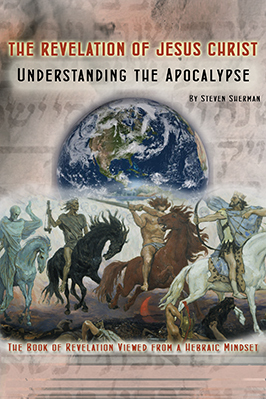 The Investigative Judgment – According to SDA theology, beginning on October 22, 1844, Christ entered upon the “judgment phase” of His ministry, whereby He blots out sin: [The SDA doctrine of the “Investigative Judgment” rests on Ellen G. White’s claimed revelation that Christ entered the heavenly Holy of Holies, not at His ascension, but in 1844, wherein He then began to investigate the records of human works] “When Christ, by virtue of His own blood, removes the sins of His people from the heavenly sanctuary at the close of His ministration, He will place them upon Satan, who, in the execution of the judgment, must bear the final penalty.” Satan, thereby, becomes the scapegoat of Leviticus 16. This lack of clear distinction between the forgiveness of sins and the blotting out of sins, makes it impossible for anyone to know, even in the hour of his death, whether he is saved or not. (SDAs are not “allowed” to experience assurance of salvation, because then there would be no pressure on them to keep the Old Testament law, as interpreted by Ellen G. White, and especially no pressure to pay the tithe.) Moreover, the concept that the sins of all men are to be laid on Satan, assigns to Satan an indispensable role in the blotting out of sin, thus nullifying the all-sufficiency of the finished work of Christ. When Jesus said on the cross, “It is finished,” (completed, paid in full), it cannot be that there is yet another salvation event more than 1,800 years later, just as essential to salvation as Christ’s death on the cross, in which one must believe in order to be saved. This is clearly “another gospel” (Galatians. 1:6–9). “Those who would share the benefits of the Savior’s mediation should permit nothing to interfere with their duty to perfect holiness in the fear of God … The subject of the sanctuary and the Investigative Judgment should be clearly understood by the people of God. All need a knowledge for themselves of the position [in the Holy of Holies] and work [Investigative Judgment] of their great High Priest. Otherwise it will be impossible for them to exercise the faith which is essential at this time or to occupy the position which God designs for them to fill. Every individual has a soul to save or to lose. Each has a case pending at the bar of God … All who have received the light on these subjects are to bear testimony of the great truths which God has committed to them. The sanctuary in heaven is the very center of Christ’s work in behalf of men … It is of the utmost importance that all should thoroughly investigate these subjects … The intercession of Christ in man’s behalf in the sanctuary above is as essential to the plan of salvation as was His death upon a cross. By His death He began that work which after his resurrection He ascended to complete in Heaven.” Ellen G. White clearly taught that Christ’s work was not finished on the cross and that her followers are saved by a gospel of works. Significant is the fact that the entire concept of “Investigative Judgment” is unbiblical and contrary to the true Gospel as revealed in the New Testament. Jesus entered the Holy of Holies in Heaven immediately after his ascension and not in 1844 according to Hebrews 1:3, 6:19-20, 8:1, 9:6-12, 24 and 12:2. His atoning work is not continuing in Heaven. It was finished on the cross (John 19:30 and Romans 3:24-26). Jesus is currently serving as our High Priest before the Father’s throne (Hebrews 8:1-2). From 1844 to 1851, the group taught the “shut door” doctrine, based on Jesus’ parable of the ten virgins. Anyone who had not accepted the Adventist message by the time Jesus entered the Holy of Holies was to be shut out permanently, as were the five foolish virgins. Cut off from the Bridegroom, they could not join the Adventists or have any hope of eternal life. Ellen White not only approved and taught this doctrine, but her first vision experience (she claimed over 2,000 visions) was largely responsible for its being received by the Adventist group. By 1846, the group had adopted the Seventh-Day Baptists’ view that the Saturday Sabbath must be observed by Christians. A highly elevated form of this doctrine, together with the doctrine of the Investigative Judgment, became the hallmarks of Seventh-Day Adventism. In 1850, James and Ellen White began publishing a magazine, The Review & Herald, to disseminate Adventist and Sabbatarian doctrines. This helped many of the remaining “Millerites” to coalesce into a distinctive body, which adopted the name of Seventh-Day Adventist Church in 1860, and formally incorporated in 1863, with approximately 3,500 members in 125 congregations. Ellen G. White (1827-1915) never held official title as the head of the SDA church, but was one of its founders and acknowledged spiritual leader. She rather disingenuously declined to claim the title of “prophet,” calling herself a “messenger” instead. But she claimed to have the “spirit of prophecy,” and that her messages were direct from God for the guidance and instruction of the church. With her knowledge and consent, others called her a prophet and an inspired commentator of Scripture , and even “the Spirit of Prophecy.” Having only a third grade education, Ellen White said for years she was unable to read, bolstering the claim that her beautiful prose was inspired by God. However, it has been discovered that she not only read, but plagiarized other Christian authors throughout virtually all her writings. SDAs believe that “Sunday-keeping” will be the mark of the beast in the future. Again a works salvation is emphasized by Ellen G. White according to her statement in the Advent Review and Sabbath Herald of October 26, 1897: “The terms of salvation for every son and daughter of Adam are here outlined. It is plainly stated that the condition of gaining eternal life is obedience to the commandments of God.” Ellen White stated in her writings that observance of the Sabbath is the “greatest” of all the Ten Commandments. This statement is in direct contradiction to the words of Jesus. When Jesus was asked, which was the greatest of the commandments? He said, “Love the LORD your God with all of your heart and with all of your soul, and with all of your mind. This is the first and greatest commandment” (Matthew 22:37-38). Seventh Day Adventists claim that they are God’s only true, end-time “Remnant Church.” They adhere to Replacement Theology claiming to be the new Israelites. Other distinctive SDA teachings include vegetarianism, a belief that death results in unconsciousness, the doctrine of “soul sleep” – the belief that between death and resurrection one is essentially non-existent except in the memory of God and the annihilation of the wicked (as opposed to conscious torment for eternity). Is Hell a place of annihilation or a place of eternal torment? In Old Testament times, the Hebrew term “Sheol” (the abode of the dead) contained two compartments separated by an impassable gulf. The righteous awaited resurrection in the “Bosom of Abraham” (Paradise), while the unrighteous awaited resurrection in “Gehenna” (Hebrew) or “Hades” (Greek) a place of torment. Satan is a deceiver and a liar. Two of his greatest deceptions are to have people believe that he does not exist and that there is no place of eternal torment. Seventh-Day Adventism, a denomination which was formed by a charismatic leader whose visions formulated doctrines that contradict Scripture including espousing a gospel of salvation by works, and denying the finished work of Christ on the cross would certainly qualify as a Christian cult.